These are custom made MiniGator rear EDGEbags, made by Edgewood Bags in Edgewood, New Mexico! These are specially designed for the XIT stock, though work superbly for the Beast I and Best II stocks as well as the EDGE LV, EDGE HV and EDGE HBR stocks. We had these made with 1.5″ slick ears only, spaced at 5/8″, and they have a sloped angle to them to match with the angled keel of the stocks. 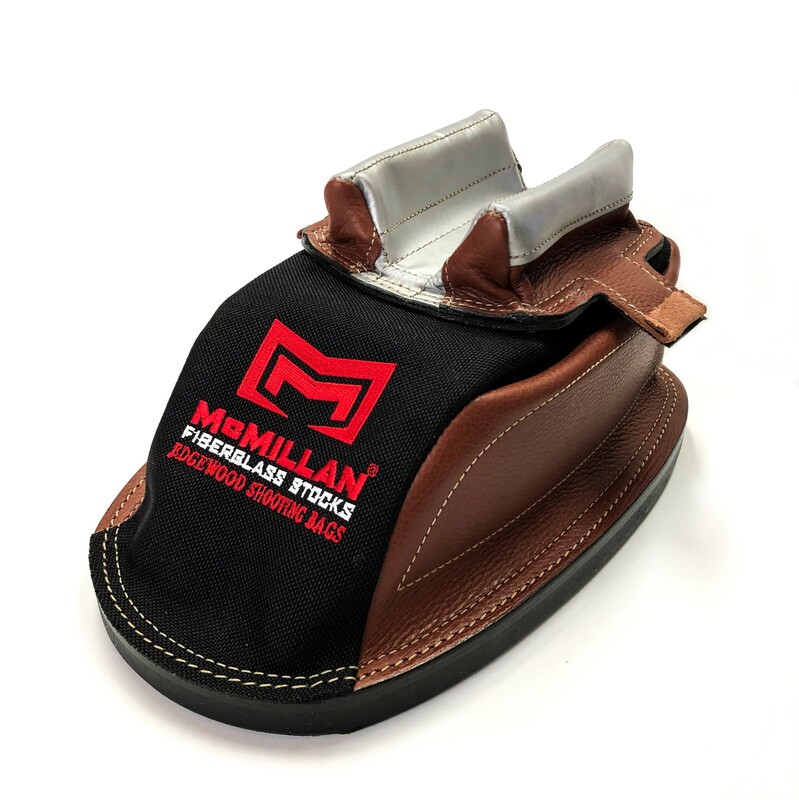 “Overlay Ears” – a durable layer of leather is added underneath the slick material which contributes to consistency in shape and performance as well as extreme longevity and resistance to wear. Flatter ear space means the riding surface at the base of the ears has been redesigned to practically eliminate inconsistencies in the transition between the riding surface and the ear base. This remedies any potential drag or grabbing and increases longevity by removing an inherent wear point. Reinforced ear base isolates the ear set from the shape of the bag, contributing to consistency in the contact surface and ear spread. Embroidered cordura tops showcase the McMillan logo, these bags stand out on the firing line!